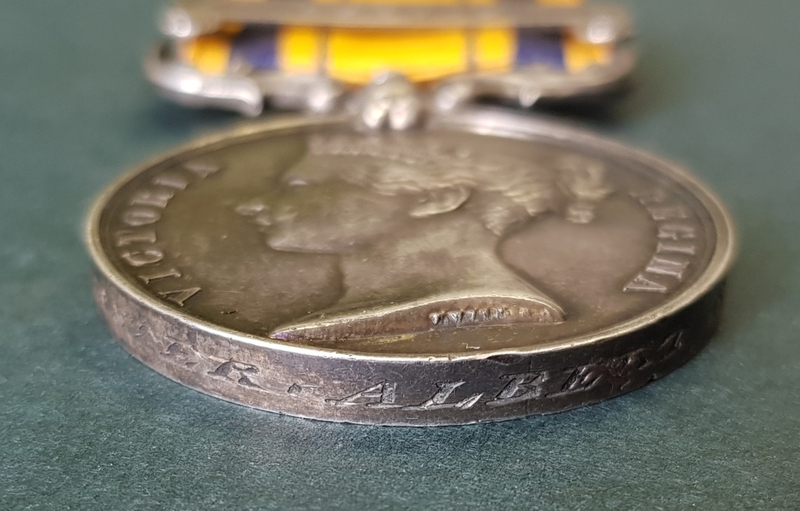 -	South African General Service Medal with clasp 1877 – 8 to Pte. G. Vorster, Albert Burgs. Gert Vorster was born in Burghersdorp in the Eastern Cape of South Africa on the 2nd of February 1856, the son of Abraham Jacobus Vorster and his wife Anna Johanna Vorster, born Kruger. Vorster was a son of the soil, a farmer and the son of a farmer in an arid and windswept region of the country which was beset by more than just the problems the elements brought to bear. This was Frontier country – the stomping ground of the black tribes to the east – and the very people for whom family’s like the Vorster’s had been brought into the territory in order to act as a buffer. They were constantly harassed and their crops destroyed, their livestock stolen and their very lives endangered. With the above as a backdrop it wasn’t heard to see why, when there was a call to arms from the Cape government, the locals turned out in droves to volunteer their services. As many as nine so-called Kaffir wars were fought between the settlers on the one hand and the native tribes on the other. This led to the creation of many small but highly mobile and effective “units” to fight and contain the native threat. 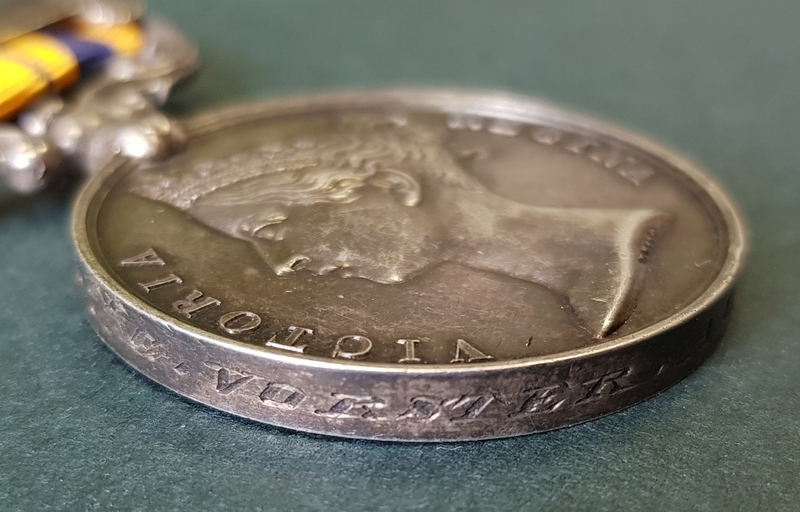 Small wonder then that Vorster, when called upon to do so, volunteered, along with several of his siblings and family, to enlist with the Albert Burghers. Albert was the name given to the magisterial district in which his farm in Burghersdorp fell and the action in which he was to play a part was that against Chief Pokwane which took place from 21 to 28 January 1878. “It appeared to me a kind of raid which was to be deprecated, especially at this moment, and one more likely to drive natives into rebellion than to avert it. But troops had now assembled at Queenstown, and the farmers that composed these forces were naturally irritated at the losses they had sustained in cattle; and as there was no control from supreme authority, military movements were carried on by the commandants and magistrates. It must be confessed that Mr Hemming the resident Magistrate of Queenstown, who led the expedition against Gongobella, or whoever else was responsible for it, was, apparently, particularly anxious to take up the first excuse for fighting. Gongobella was a British subject and if he had committed any act against the laws of the colony, there were proper methods of procedure. In all that Gongobella did, there is nothing to indicate any disloyalty against Government. “Gongubele (sic) a Tembu chief, living about 25 miles from Queenstown, bought a farm some time ago in the Queenstown district, and, neglecting to pay the second instalment of the purchase money, was sued in the Circuit Court, as would have happened to a white man. Judgement been given Gongubele spread a rumour among his people that the white men were coming to take away his property by force. At this time, in consequence of the prevalence of stock stealing, the roads were regularly patrolled by armed burghers, and the appearance of one of these troops gave some colour to Gongubele’s story. At all events one day the war cry was raised. A trader’s shop was pillaged and the property of white men resident in the location made free with. Gongubele, summonsed by Mr Hemming, the Resident Magistrate, disregarded this instruction. It was then made known that he was mustering his people in force and inviting the aid of other sections of his tribe. Mr Hemming was organising a force to bring Gongubele to order, and just as they were about to march when they received word that Gongubele was so loyally disposed that he would surrender without firing a shot. On the 23rd Mr Hemming left Queenstown with 400 Europeans and 200 natives, proceeding into Gongubele’s country. They arrived at sunrise on the morning of the 24th, having been fired at on their way thither. Immediately the van of the force arrived they were attacked, the Burghersdorp men not reaching the scene of the action until an hour after the engagement. For two hours a hard fight was maintained against 1600, resulting in their total defeat. Over 100 Kaffirs were killed, and many were wounded. The Burghersdorp men immediately on arrival began scouring the country, and on the 26th the combined Queenstown force made an attack, which was unsuccessful. 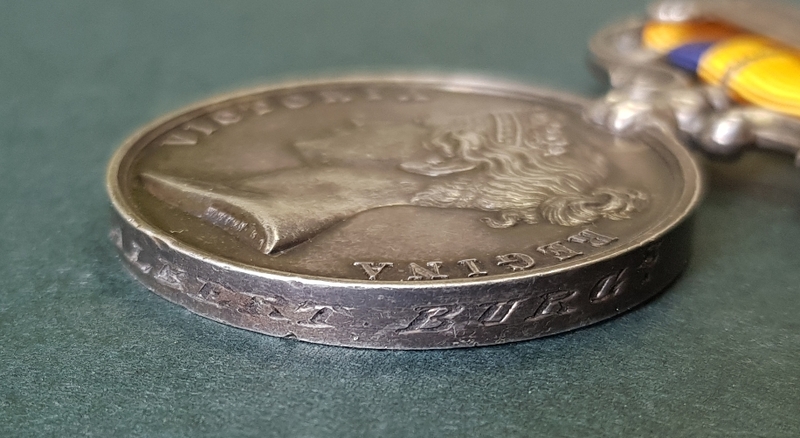 The fighting was reported as being severe, but the result would seem to show that a great deal of gunpowder was blazed away but with little effect. The number of the enemy killed is not given. Soon after the petty squabbling and fighting assumed a more sinister aspect and the fight relocated to the Transkei and Basutoland territories but, for the Albert Burghers, the men from Burghersdorp, the fighting was over. 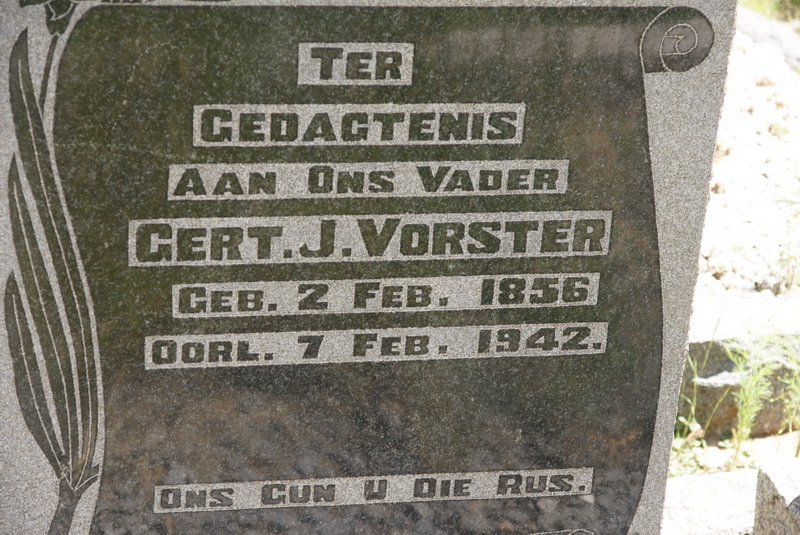 Vorster and his comrades returned to their farms and continued with their lives. Gert Jacobus Vorster passed away at his town residence, 30 Potgieter Street, Burghersdorp, on Saturday, 7 February 1942 at the age of 86 years 6 days. His wife of many years, Wilhelmina Frederika Adriana Vorster (born Henning) had predeceased him. He was survived by his children, Abraham Jacobus Vorster, Anna Johanna Spies, Willem Frederik Vorster and Martha Catharina Coetzee. I enjoy reading these posts, Rory, as they add so much information to our understanding of these times and the men and women involved in them.